Help your guests pamper themselves with this 1.41 oz. 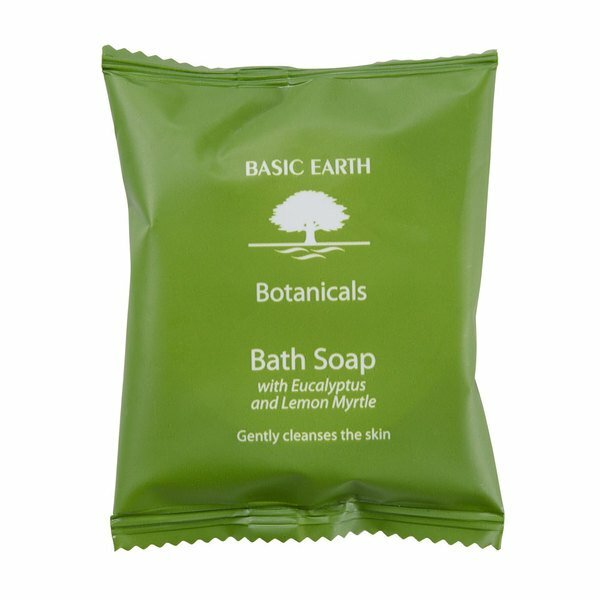 bar of Basic Earth Botanicals wrapped bath soap. This 1.41 oz. vegetable based bath soap thoroughly cleanses the body as it gently removes dirt and bacteria, while its natural vitamins and minerals make it suitable for the most sensitive skin. 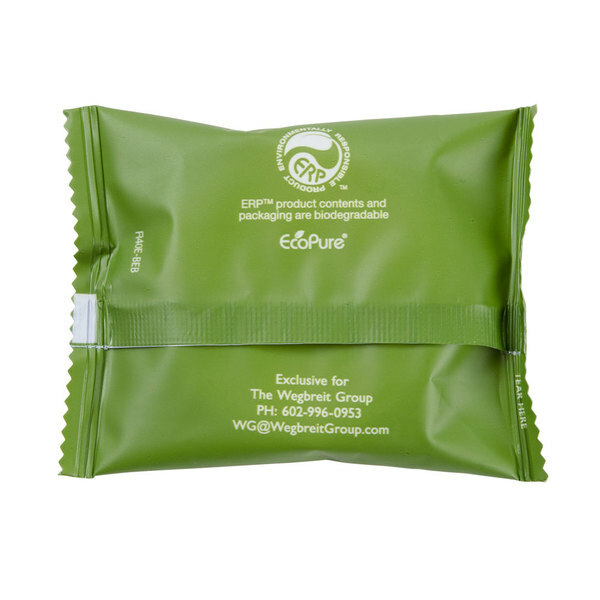 Prepackaged for sanitary purposes, this soap is an excellent choice for any hotel or motel setting. 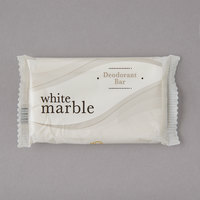 This item has been certified as an Environmentally Responsible Product. "These are amazing for a hotel or resort that is trying to go green. Everything including the package is biodegradable. You dont have to worry when you are recycling these!" 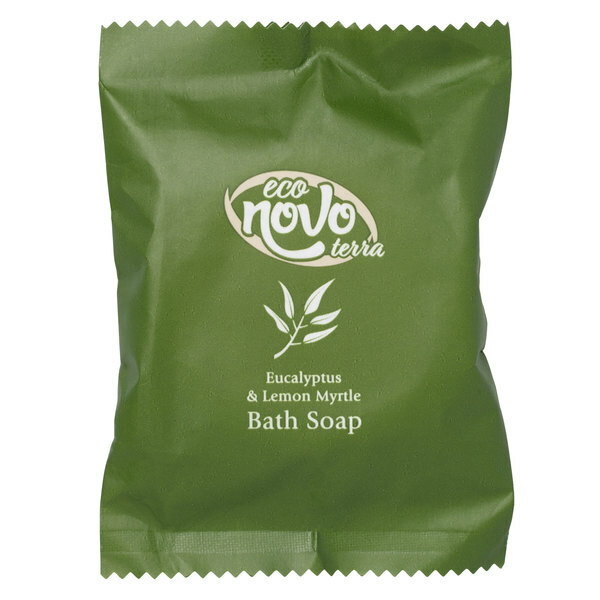 Not only is this soap incredibly gentle on your skin, but it is also mildly scented with a refreshing Eucalyptus & Lemon Myrtle fragrance that leaves your guests feeling completely renewed. 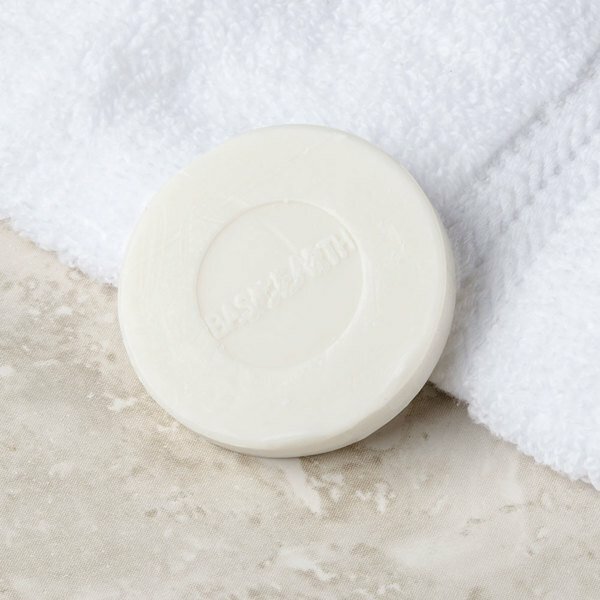 This travel-sized bar of soap is perfect for guests who are only staying for a couple of days at a time, and fits comfortably in the user's hand. 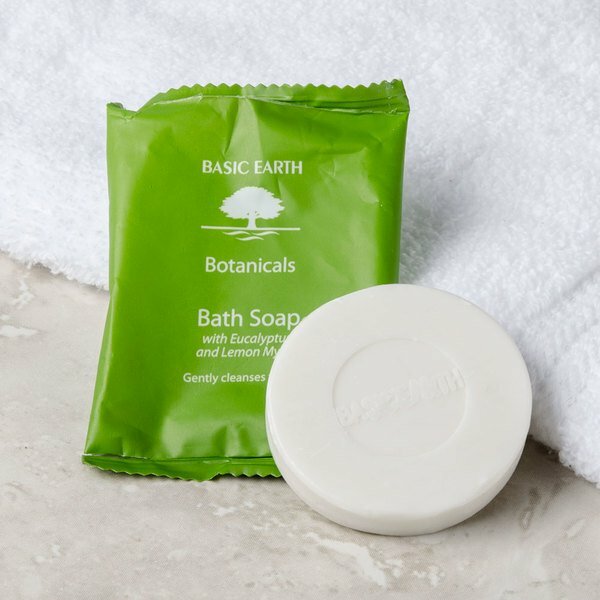 Both the soap and its paper packaging are 100% biodegradable, so even your most Eco-conscious customers will be accommodated during their stay. We have supplied these to our guests for several years. Love the packaging, the smell, the overall value. Always shop for "something different" but come back to this every time. Best product for our guests. Nice single pack soaps for Hotel / Motel...or just for on the go. Great smell and lathers up good. Nice price on the full case. These little soaps smell great! Nice size. They seem to be well liked by my guests at our vacation rental. I will buy again for sure! These are great little soaps! They are very gentle to the skin and do not leave residue. The soaps have a nice delicate feel and smell to them. 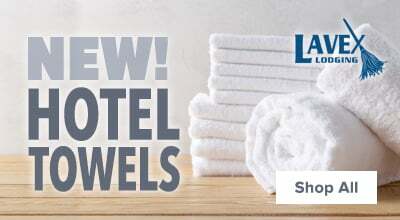 I would highly recommend products from this company over any other when it comes to hotel supplies. 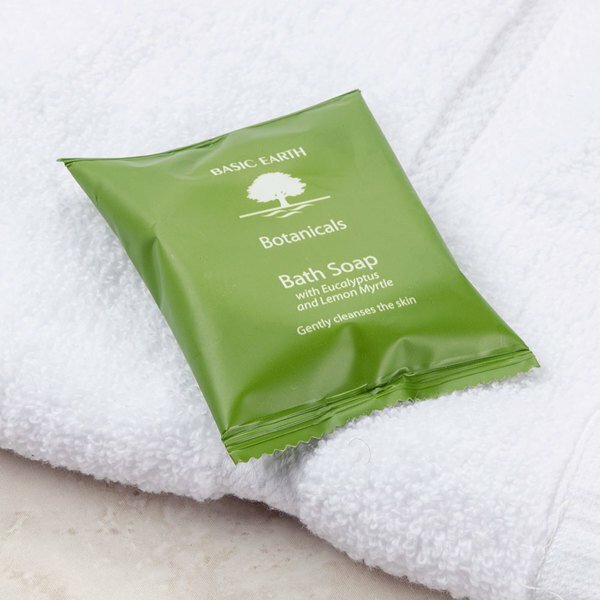 These packaged botanical soaps are very nice smelling and convenient for our guests to feel at home at our vacation rental house in Killington, VT. This soap is great for any hotel and is gentle on the skin! Great buy and your guests will enjoy the scent of this amazing soap. These are amazing for a hotel or resort that is trying to go green. Everything including the package is biodegradable. You dont have to worry when you are recycling these! This is a nice small gift that works great in private restrooms! It smells wonderful and foams nicely! Fantastic bulk case makes these easy to have on hand!!! 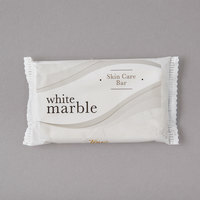 This soap is a great addition to any bathroom. It gives it a classy clean look. It also smells great. At such a low price it adds a little more class to any hotel bathroom. Save Up To $9.92 with our Recommended Product! Check out the Eco Novo Terra 1.41 oz. wrapped glycerin hotel and motel bath soap bar instead! It's a mild, vegetable-based soap with a botanical formula that removes dirt and bacteria, leaving skin feeling purified and refreshed. Not only is it great for all skin types, but its natural essential oil fragrances help transform a bath or shower into a pleasant, soothing experience.